All aspects of figurative oil painting are covered in this series. Steve begins with a burnt umber drawing. First forms are blocked in. Next details are added. Finally some shadow areas are defined and middle values are added. 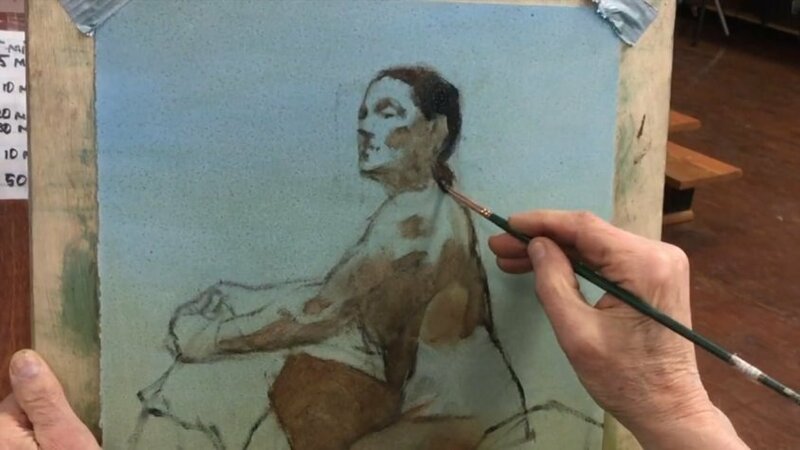 The key concepts of oil painting covered in part 1 are: general figure drawing techniques with detail regarding portraiture; looking for attitude; rhythm in design; measurement for accuracy; using value to describe form and create interest with color variance.